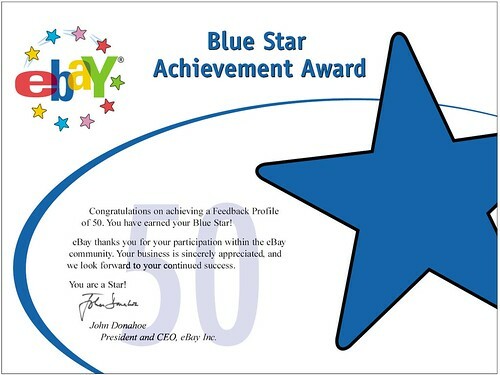 About three days ago my eBay feedback rating reached 50! As most of you know, because I have been selling your stuff, I have been selling quite a bit over the last 8 months. I originally started selling old car parts so I could buy new car parts. After selling my “project bike” for 3 times what I bought it for, I was hooked. Now instead of being a means to pay for my hobby, eBay has turned into a hobby all it’s own and somewhat of a side job. See what I am currently selling here. If you want me to sell something just let me know. This entry was posted on September 4, 2008 at 2:24 pm and is filed under Rants. You can follow any responses to this entry through the RSS 2.0 feed. You can leave a response, or trackback from your own site.